If you are impatient to see Croatia face France in the Sunday game, we have a few suggestions to help you kill some time. During this weekend only, two top BTC casinos are running special Bitcoin promotions to warm up sport fans for the World Cup finals. So, if you don’t have other plans until the most important football match of the summer, check out our breakdown of the offers to find out how you can win prizes while waiting for the event. With the World Cup in Russia already coming to an end, most football fans are looking forward to the next big event. And what better football competition to hype about after the WC 2018 than the English Premier League? If you too feel the same way and can’t wait for the League to start, you might want to check out Bitcasino and join its latest slot competition. 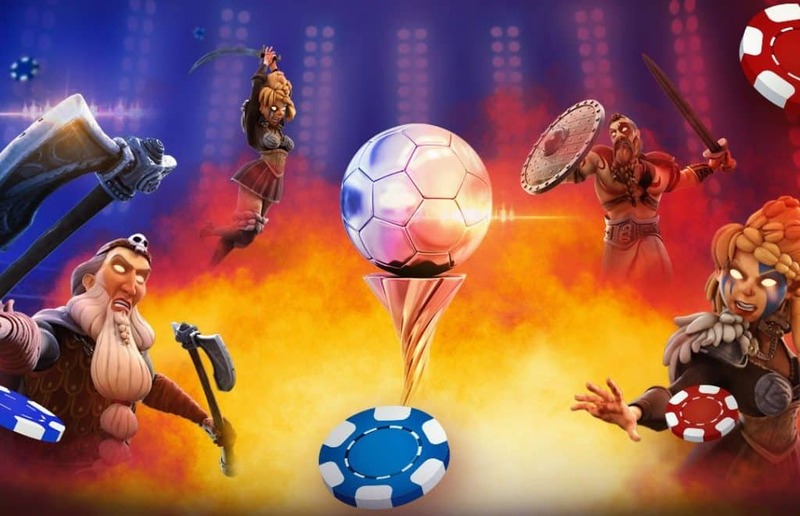 Running form July 12th to July 15th, the new promotion at Bitcasino will end up giving away nearly 700 prizes as well as one VIP package to the Premier League. To enter the competition, you will need to play the Bicicleta, Valley of Gods, and Lucha Maniacs slots at the casino and complete the special missions indicated in the terms and conditions. Whoever gets to complete the missions in the least amount of rounds, will get to climb to the top of the leader-board. And the best part? There’s also an option to restart your progress and try again. The main prize is a travel package for 2 to London, including return flight tickets, 4 nights at a 5 star hotel, as well as Hospitality tickets for the Premier League. These special tickets include a 3 course meal during the day as well as a special presentation from a Premier League Legend! But even if you don’t get to claim this golden prize, you still can win some of the other 599 leader-board rewards, which can be worth anywhere from μɃ 300 to μɃ 94,000. And if that wasn’t enough, there’s also a special raffle for after the competition, which will award 98 consolation prizes to interested punters, including signed and framed football jerseys and €100 cash rewards. So, if you ever had a dream to see a Premier League game in person, head down to Bitcasino and sign up for the promotion today! Another promotion running this weekend is Fortune Jack’s World Cup Frenzy. This fresh promo offer doesn’t require you to play any casino game to win a prize, but just join the Fortune Jack’s discussion board and make a few predictions for the final match on Sunday. If you make a right guess, you can win some of the cash prizes from the casino’s 1 BTC prize pool or a brand new Playstation 4. To take part, just click/tap the World Cup promotion banner at the casino and you’ll be taken to the competitions page. Here you can make a prediction on the final result of the Sunday match, guess who will strike a goal from either team, or take any other bets like who will get the golden boot or win the golden ball trophy. To place your predictions and take your shot at a prize, just pay a visit to Fortune Jack Casino.